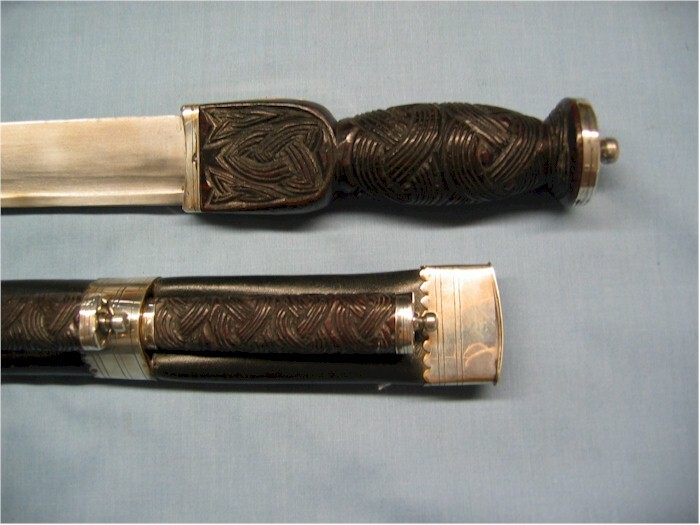 This antique dirk has Hallmark Silver fittings with black leather sheath. 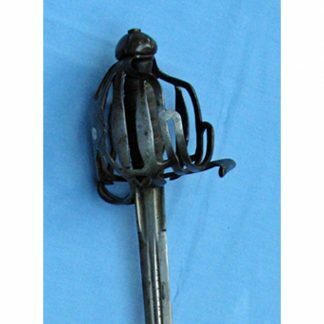 The handle of the dirk as well as the knife and fork are wood carved in a rather unusual Celtic design. Blade is 14 inches long. The dirk is 21 ¼ inches overall. This antique dirk has black leather sheath with Hallmark Silver fitting. 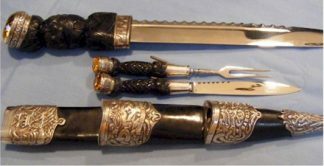 (See photos) The wooden handles of the dirk as well as the knife and fork are wood carved in an unusual Celtic design. Blade is 14″, the dirk is 21 ¼” overall.